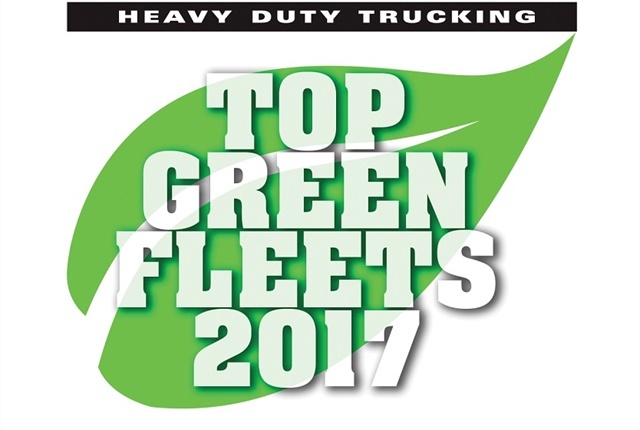 HDT’s Top Green Fleets for 2017 demonstrate that there’s no single path toward sustainability. Nor are such efforts limited to large fleets, or to a particular type of operations. All of this year’s honorees operate at least some heavy-duty Class 8 trucks; some operate mixed fleets ranging from light- to heavy-duty. They range in size from fewer than 100 trucks to 26,000 vehicles. There are private, for-hire, government, utility, vocational and refuse fleets. We honor a variety of “green” efforts, from high-mpg diesel-powered vehicles to alternative fueling to green facilities and recycling, and we pay special attention to what fleets have done in the past year. Each fleet will receive a certificate recognizing the honor. Below you'll find a short summary of each of this year's Top Green Fleet sustainability efforts. A. Duie Pyle shows that fuel economy is not just the province of long-haul truckload fleets. With nearly 1,100 trucks, this primarily regional LTL fleet consistently invests in new equipment that minimizes exhaust emissions and improves fuel efficiency. This past year, Pyle implemented an ongoing internal initiative for fuel savings. 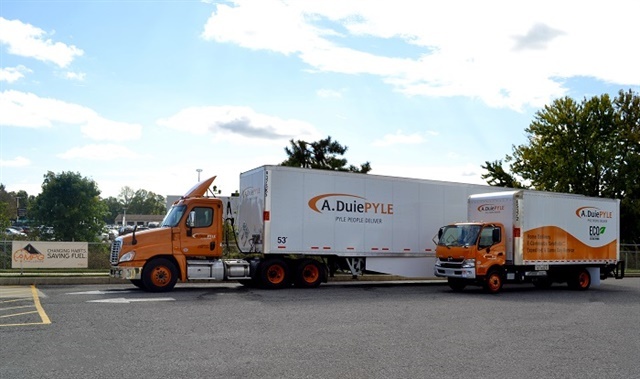 The MPG challenge is an incentive for A. Duie Pyle drivers to always use best practices while driving to save fuel. During the first three months of the challenge, average mpg improved from 6.25 to 6.6. Pyle’s trucks have adaptive cruise control, automatic tire inflation systems, aerodynamic skirts for long-haul tractors and APUs for sleeper cabs. The fleet is made up of trucks with smaller 11L and 13L engines that have the ability to carry more freight at a higher fuel efficiency, and all its trucks are governed to 68 mph. Altom Transport significantly changed its truck spec to aerodynamic, lightweight models. 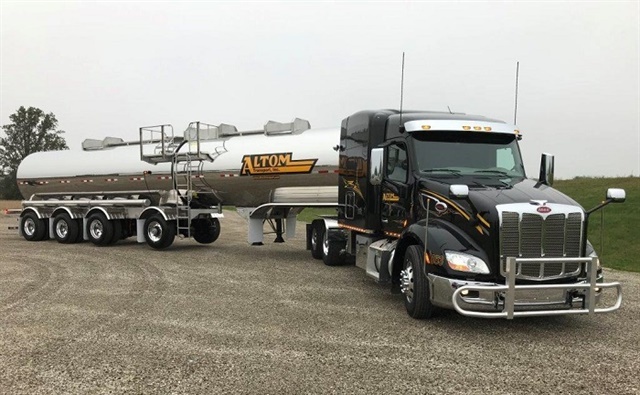 With 250 heavy-duty and 20 light- and medium-duty vehicles, the for-hire petroleum/chemical hauler this year significantly changed its truck spec, moving to lighter weight, more aerodynamic and fuel-efficient tractors. It also cut its truck weight by 2,000 pounds, spec’ing aero models with fuel-efficient engines, moving from dual stacks to horizontal exhaust, and SmartWay-approved wide-base single drive tires on lighter-weight aluminum rims. New laser welded ring and pinion gears reduce friction in the differential, along with full synthetic transmission and gear oil, and a 10W-30 semi-synthetic engine oil. 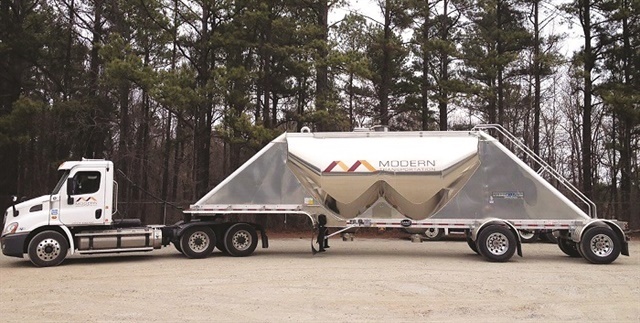 The tank trailers now have lift axles, and the regional fleet is using automated transmissions. They added APU units to cut idling. Air disc brakes on all trucks and trailers reduce brake material used, and a load calculator program maximizes loads for top efficiency. B&B Trucking is leaving no stone unturned in its quest for fuel efficiency, including testing an automatic gap-closing system. A 245-truck for-hire fleet, B&B runs 18 CNG-powered trucks and is continuing to up the fuel efficiency of its entire fleet, with specs such as automatic tire inflation for tractors, auto-lift/adaptive loading axles on tractor and trailer, aero wheel covers, full aero packages on tractors (no visors), and tire inflation systems and side/under aero devices on trailers (mostly skirting). It started out 2017 with a nearly 3% mpg average year-over-year improvement fleet-wide and continues to improve. It’s currently testing an automatically deploying, tractor-mounted system that closes the cab between tractor and trailer to less than 6 inches. It’s looking forward to testing electric Class 7-8 tractors and plans to integrate vehicle charging devices with its existing solar array, which spans over two-thirds of the truck parking shelter at its main terminal. The City of Columbus, Ohio, aims to reduce annual petroleum use by 25% from 2014 levels by the end of 2018. 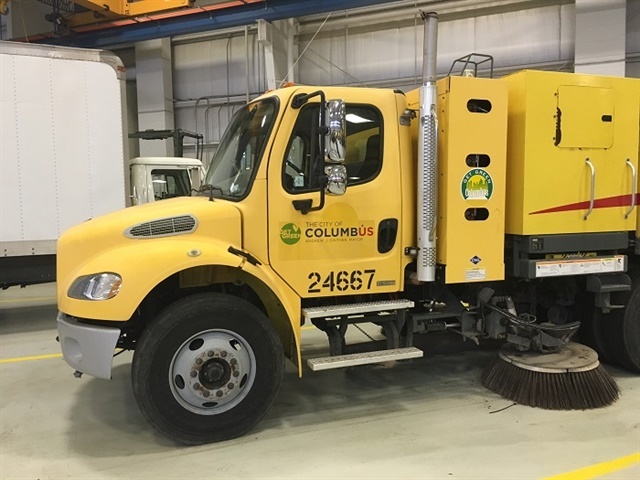 With a fleet of 3,200 light-, medium- and heavy-duty vehicles, the City of Columbus uses a variety of alternative fuels, including CNG, hybrid electric, hydraulic hybrids, propane and biodiesel. The city’s goal is to reduce annual petroleum use by 25% compared to 2014 levels by the end of 2018; it already had cut city fleet vehicle petroleum use by almost 13%, and its adding CNG vehicles to its fleet yearly, plus continued and increased use of flex fuel, hybrid and electric vehicles. As of August, Columbus had added 11 CNG vehicles to its fleet this year, bringing the CNG vehicle total to 202. The city’s fourth CNG station is due to open in early 2018. The City of Long Beach is serious about alternative fuel vehicles; in 2016, the made up more than 50% of vehicle purchases. With a mix of nearly 800 light-, medium, and heavy-duty vehicles, Long Beach has an aggressive Green Fleet Program. In 2016, more than 50% of vehicle purchases were alternative fuel. In May, it opened a new time-fill CNG station that can fuel up to 100 heavy-duty vehicles as it transitions its refuse and street-sweeping fleet. 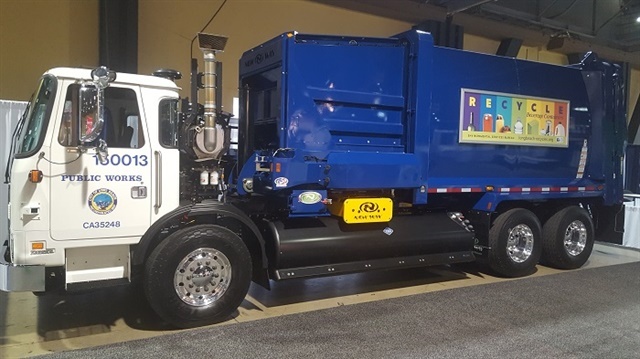 It also recently unveiled what it says is the first municipal refuse truck in the nation with the Cummins ISL G Near Zero engine and will put 23 of them into service this year. Long Beach uses renewable CNG, LNG and diesel. 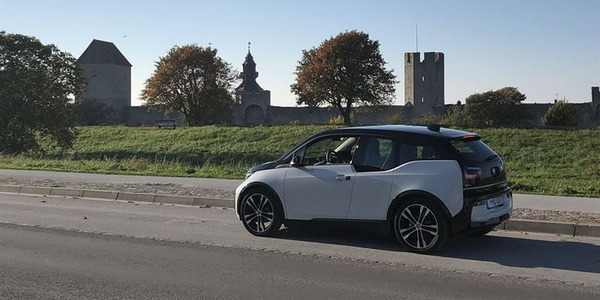 This year it started a Battery Electric Vehicle Task Force and is in the process of expanding its telematics program through a new fuel management system. It has also made a strong effort save electricity and water at its facilities and tries to recycle as much as possible. Frito Lay runs more than 500 heavy-duty trucks powered by natural gas, plus electric and propane for medium-duty. PepsiCo was a sponsor of North American Council for Freight Efficiency's Run on Less, cross-country roadshow to showcase advancements in fuel efficiency and Frito-Lay's Perry, Georgia facility, provided one of the seven trucks and drivers that participated. One of seven fleets to participate in the North American Council for Freight Efficiency’s Run on Less fuel-efficiency runs in September, PepsiCo’s Frito-Lay Division is the seventh largest commercial fleet in the U.S., with 22,000 vehicles, from cargo vans to Class 8 tractor-trailers. In 2011 it started adding CNG vehicles to its fleet. And, the company reduced its diesel fuel use by more than 30% from 2008 to 2015. More than 500 heavy-duty trucks are powered by compressed natural gas (it’s beginning to use renewable CNG), and on the medium-duty side, about 200 electric and over 100 propane autogas vehicles. Frito Lay uses full GPS/telematics deployment with scorecards for idling, route optimization, fuel economy, speeding, and harsh braking/acceleration. Its specs include low rolling resistance tires, improved aero design on trucks and trailers, synthetic fluids, engine downsizing, and idle shutdown. Garner Trucking emphasizes the human factor in sustainability, getting “buy-in” from all employees, not just drivers. 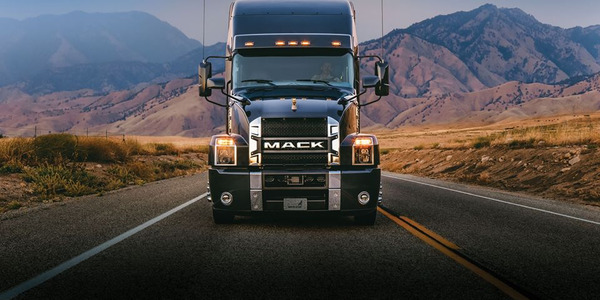 With 97 heavy-duty trucks, for-hire carrier equips all tractors with either an electric APU or an idle reduction system that shuts the truck off when a comfortable temperature is reached in the cab to keep idle time to a minimum. It’s evaluating CNG/diesel trucks in its regional fleet. Trailers are equipped with skirting and lift axles that automatically raise with lighter loads. Tractors are equipped with disc brakes to improve stopping distance and reduce the amount of brake dust released into the air, and all new trailers will also be so equipped. All tractors have full synthetic transmission and differential fluids as well as semisynthetic engine oils. It has tire inflation systems not only on trailers but also on tractors. But, it says, all of the aerodynamics and fuel saving devices can only take a fleet so far and it emphasizes “buy-in” from employees, not only drivers, but also office and shop staff. Hirschbach ran two trailer aerodynamic equipment tests that prompted it to implement additional aero skirts and mudflaps on its trailers. One of seven fleets to participate in the North American Council for Freight Efficiency’s Run on Less fuel-efficiency runs in September, this nearly-1,000-truck for-hire refrigerated and general freight fleet uses fuel optimization software to route trucks along fuel efficient lanes, as well as fuel at major biodiesel fuel stations. Tractors have diesel APUs, automated manual transmissions, governed speed truck, aero bumpers, aero roof fairing, aero cab side gap fairing, wheel cover and wheel gap coverings, aluminum wheels, aero fuel tank skirting, and wide base single drive tires. This year it ran two trailer aerodynamic equipment tests that prompted it to implement additional aero skirts and mudflaps on its trailers. Trailers also have the latest low-emissions refrigeration units, aero top and side fairings, wide-base single tires on aluminum wheels, and haul 45,000-50,000 pounds of payload for greater freight efficiency. Drivers are incentivized through mpg, route compliance, and fueling compliance initiatives. M&M Cartage has 87 CNG-powered trucks out of its fleet of nearly 300 and is buying more. 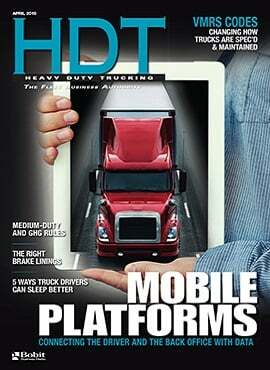 This for-hire trucking fleet has 87 CNG-powered trucks out of its fleet of nearly 300. In the past 12 months, it has added 35 new CNG trucks, and is currently on schedule to reach its goal of 100 CNG trucks by 2018. M&M was recognized by Kentucky Clean Fuels Coalition as Greenest Freight Fleet (Under 500 Trucks) of the Bluegrass. In partnership with Kentuckiana Clean Fuel, M&M has opened a second CNG fuel station in Sharonville, Ohio, as well as doubled its capacity at the Louisville CNG fuel station. It published its first Sustainability Report. M&M Cartage’s current campus was completed in July of 2015, using LED lighting, geothermal heating and air-conditioning, with plans to add a solar panel field, with the goal of becoming a net zero energy and zero landfill facility. 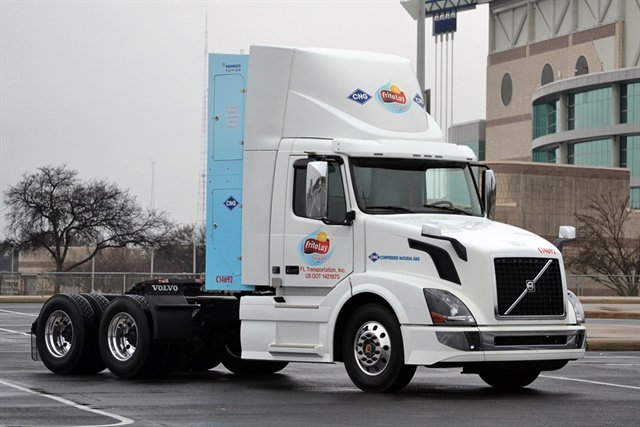 Looking forward, M&M’s goal is to pursue a new partnership in renewable natural gas transportation, as well as continue to build its fleet with CNG trucks. 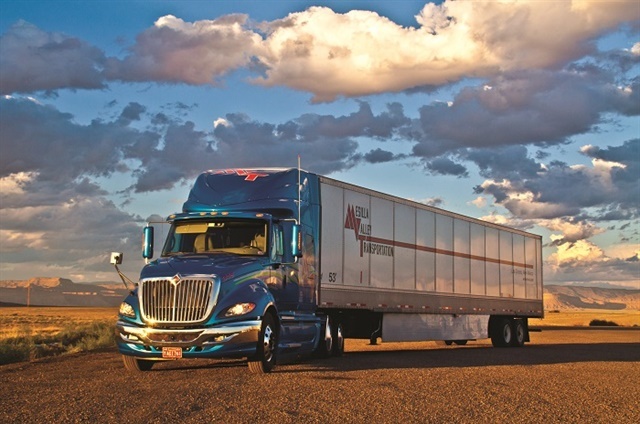 Mesilla Valley Transportation was way ahead of the curve with technologies such as 6x2s and trailer skirts. One of seven fleets to participate in the North American Council for Freight Efficiency’s Run on Less fuel-efficiency runs in September, the 1,300-truck fleet says it was the first to apply trailer skirts to 100% of its fleet and is installing trailer “boat tails.” It uses low rolling resistance tires and has cut parasitic drag on its tractors. 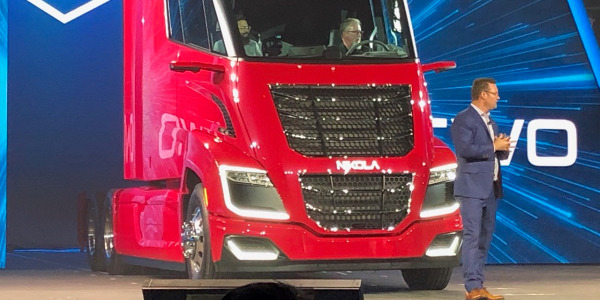 It’s using solar power to charge electric auxiliary power units, 6x2 axle configurations, aero wheel cover/wheel gap covering on the tandems, a very narrow tractor-trailer gap (under 24 inches). Drivers are a key part of its fuel-efficiency strategy. The 377-truck fleet has tested alternate fuels for the past five years and has experimented extensively with engine configurations, torque adjustments, and tires to improve efficiency. It collaborated with trailer manufacturers to design enhancements in aerodynamics of trailers and designed a lift axle on its sand trailers to enable driver to lift an axle off the ground when empty for fuel economy and longer tire life. Tractor speeds are governed, and it runs 15 CNG and 12 LNG trucks. Nestle Waters says it has the largest propane-powered, Class 6-7 beverage delivery fleet in the world. This private fleet operates more than 3,000 medium- and heavy-duty trucks with a corporate commitment to reducing its environmental footprint. In the past 4 – 5 years, it has been investing in low-emission vehicles. In 2016 alone, it added 150 medium-duty drop-frame side-load beverage delivery trucks fueled by propane autogas. 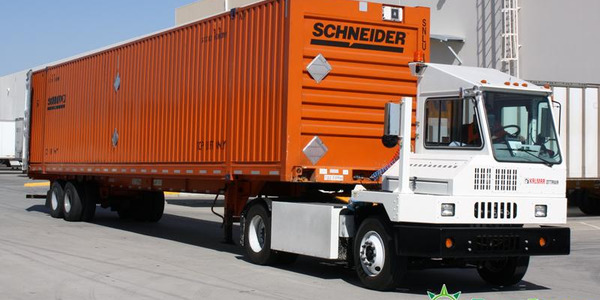 These trucks are expected to reduce CO2 emissions by more than 24.6 million pounds over the course of their use. 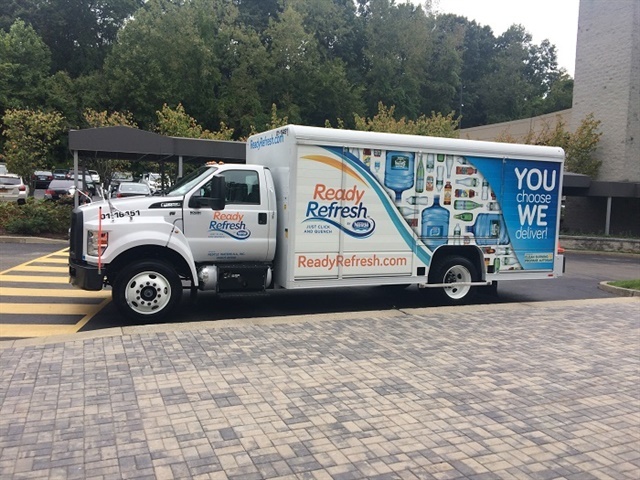 Nestle Waters says it has the largest propane-powered, Class 6-7 beverage delivery fleet in the world. It also runs some CNG and hybrid electric vehicles. 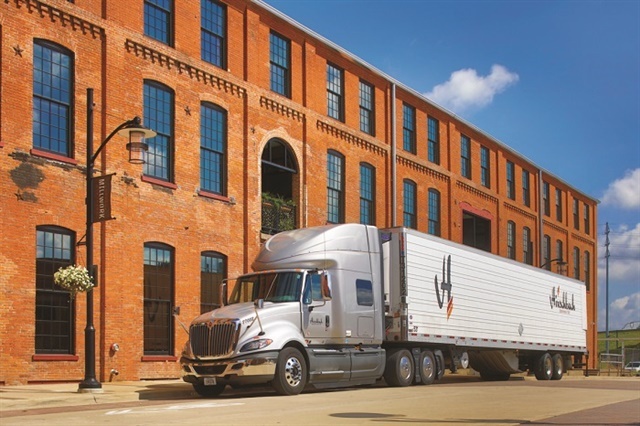 New Bern, a subsidiary of Pepsico, runs nearly 12,700 light-, medium- and heavy-duty vehicles. It’s running 264 heavy-duty and more than 100 medium-duty hybrid electric, as well as 15 heavy-duty natural-gas powered trucks (some CNG, some LNG). It also employs strategies such as lightweighting, wide-base single tires, aero upgrades (truck and trailer). In September, Nussbaum’s fleet averaged 9.1 mpg, with 35 drivers averaging more than 10 mpg. 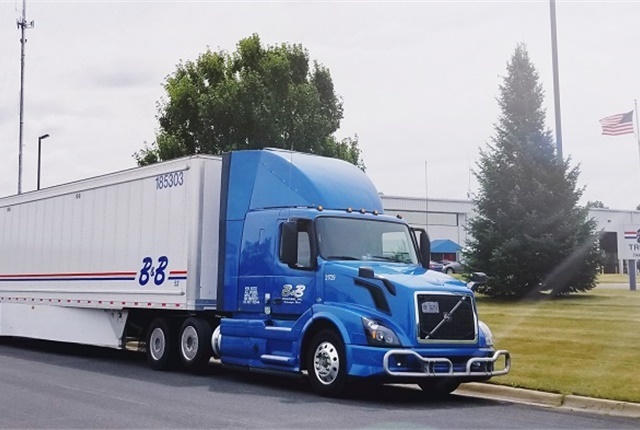 A 325-tractor dry van for-hire fleet, Nussbaum was one of seven fleets to participate in the North American Council for Freight Efficiency’s Run on Less fuel-efficiency runs in September. It uses the newest fuel-efficient equipment – tractors are 2.5 years old on average, trailer 4 years. 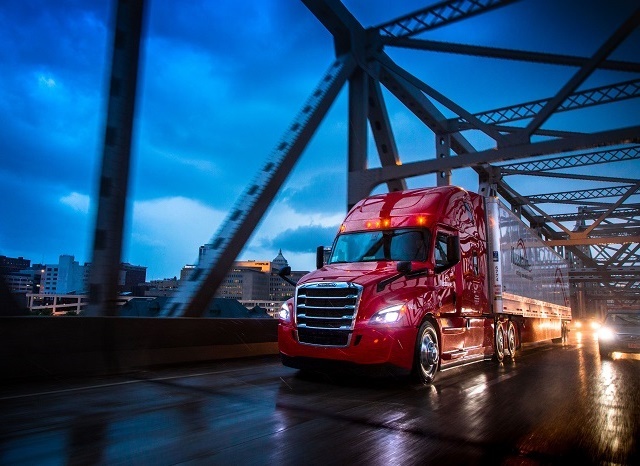 Trucks have automated manual transmissions, the Cascadia Evolution Spec with adaptive cruise control, wide-base singles and low-rolling-resistance tires, 6x2 rear axles with wheel covers and tandem axle gap fairings, battery-powered auxiliary power units. Trailers have extra-long skirts, boat tails, aerodynamic mudflaps, wide-base single tires with automatic tire inflation systems. 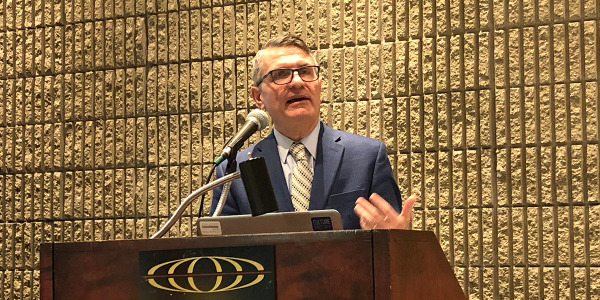 Drivers are an important part of its strategy; Nussbaum developed its own scorecard that rewards drivers for fuel efficiency as well as other metrics. In September, Nussbaum’s fleet averaged 9.1 mpg, with 35 drivers averaging greater than 10 mpg. Ozinga partnered with South Shore Clean Cities to receive grant funding to help with the conversion of diesel-powered ready mix concrete trucks serving the Gary, Indiana, area. Ozinga is a pioneer for natural gas fuels in the ready-mix business. It has nearly 1,300 light-, medium- and heavy-duty vehicles. 155 of its 900-some heavy-duty trucks are powered by CNG. It operates four CNG stations that also service retail and business customers and has helped many local businesses in their own alternative fuel endeavors. 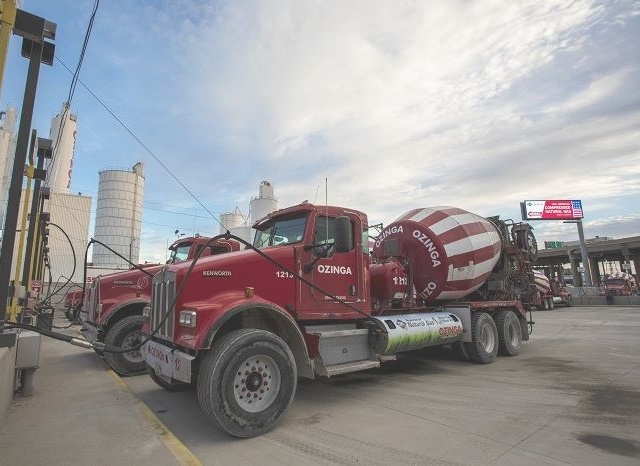 This year, Ozinga partnered with South Shore Clean Cities to receive grant funding to help with the conversion of diesel-powered ready mix concrete mixers serving the Gary, Indiana, area. In addition, more than half of its 115 Class 3-6 vehicles are CNG or other alternative fuels, with more to come. It has invested in charging stations at three of its facilities for personal and public use. Ozinga also uses biodiesel in its heavy-duty fleet. Ploger Transportation has an unusual fuel-efficiency spec, including 11L engines and 6x2 axles, and maintains an 8.5 mpg average. 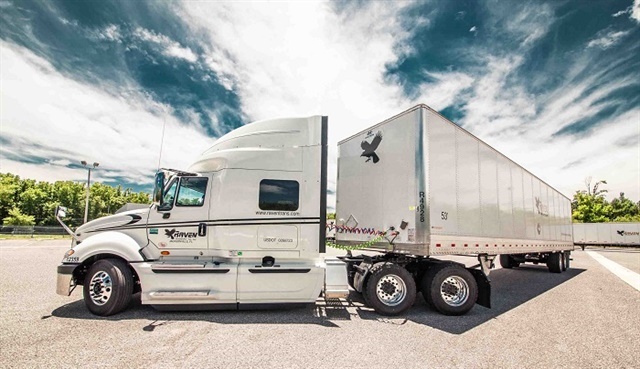 One of seven fleets to participate in the North American Council for Freight Efficiency’s Run on Less fuel-efficiency runs in September, this 60-truck fleet has an unusual fuel-efficiency spec and maintains an 8.5 mpg average with its Volvo trucks. 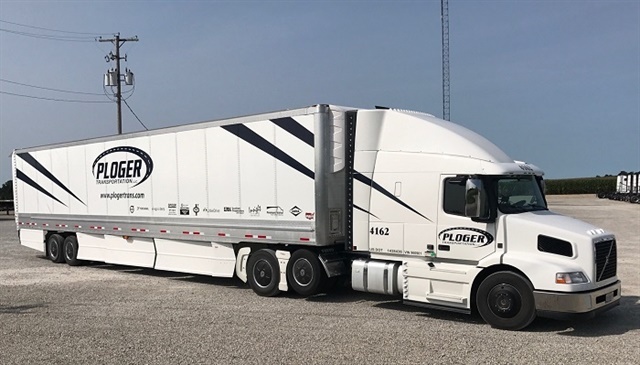 Ploger uses 11L engines, 6x2 axles with Adaptive Loading lift axle, automated transmissions, low-rolling-resistance tires, tandem-axle wheel covers and tandem gap fairings, and an in-cab driver fuel-efficiency coaching app. It recently added trailer aerodynamics, including a new type of split trailer side skirts and boat tail. Raven Transport is running more than 200 trucks on liquefied natural gas. This 465-truck for-hire dry van fleet is running more than 200 trucks on liquefied natural gas, which it calls “a big undertaking.” In addition, it uses wide-base single tires on trucks and trailers, and have spec’d lightweight trailers with aero side skirts. All our sleeper trucks are equipped with electric auxiliary power units to provide climate control when drivers are parked. It now has 170 diesel units with the Eaton Smart Advantage automated transmission to improve fuel economy. This year it was named an EPA SmartWay High Performer for all metrics. The 83-truck fleet, which offers waste transportation, drayage, water hauling, and flatdeck/oversize transport, runs 19 heavy-duty trucks on liquefied natural gas, and it has increased its fuel economy with specs such as wide-base single tires, 11-liter engines, and speed governors. The company is also working with Hyliion, which offers electric-powered trailer tandems and a new hybrid electric tractor system. 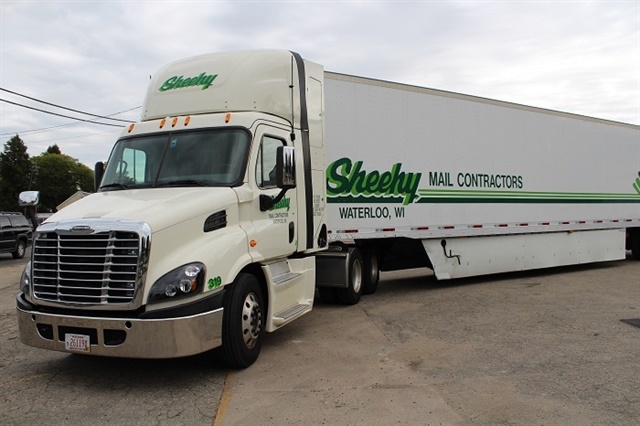 Sheehy Mail Contractors has led the charge to develop compressed natural gas fuel strategies for U.S. Mail contractors. Sheehy has led the charge to develop compressed natural gas for U.S. Mail contractors. Not only did they deploy over 80 CNG vehicles (out of a total 106 trucks), which have logged over 36 million miles, they also helped the Postal Service double the number of trucks running on CNG. The USPS now runs over 21 million miles annually with contract suppliers fully on CNG, according to Sheehy. It began the CNG conversion process in 2013; today the alternative fuel accounts for 92% of all fuel purchased by the fleet. 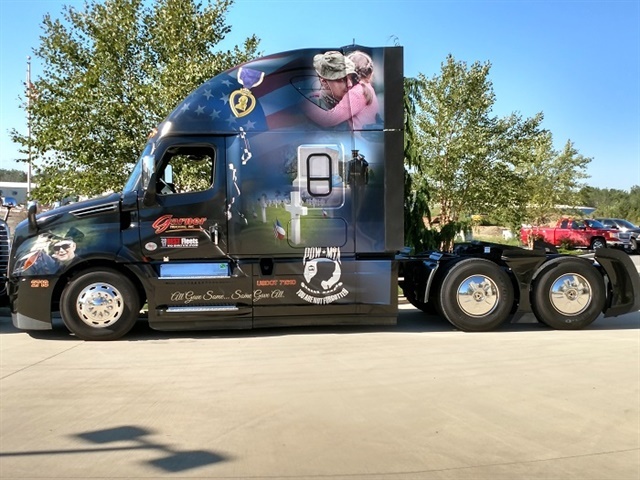 Last June, Sheehy was part of the 2nd Annual ‘From Sea-to-Shining-Sea’ NGV [Natural Gas Vehicle] Road Rally Across America. The company also is experimenting with the use of supplemental hydrogen injection on its CNG engines and says it’s seeing up to 19% improvement in fuel economy. System Freight Inc. focuses on freight efficiency as well as fuel efficiency, hauling heavy loads such as paper. With 335 heavy-duty and another 11 light- and medium-duty vehicles, System Freight is primarily a dedicated transportation provider that operates in the Northeast. It has been able to achieve a fleet average mpg of 7.41 in the last four quarters, hauling just over 26 tons of maximum weight capacity loads for optimum freight efficiency. 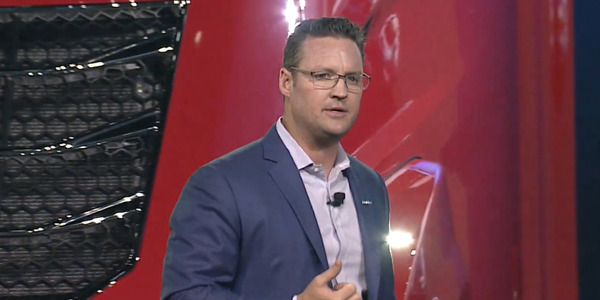 It re-engineered its fleet specs to focus on efficiency and weight reduction on purchased and lease units, with automated transmissions, downsped powertrains, proper horsepower/torque engines for the application and terrain, fuel-efficient synthetic lubes, and low-rolling-resistance tires. It monitors cruise usage and idle time. 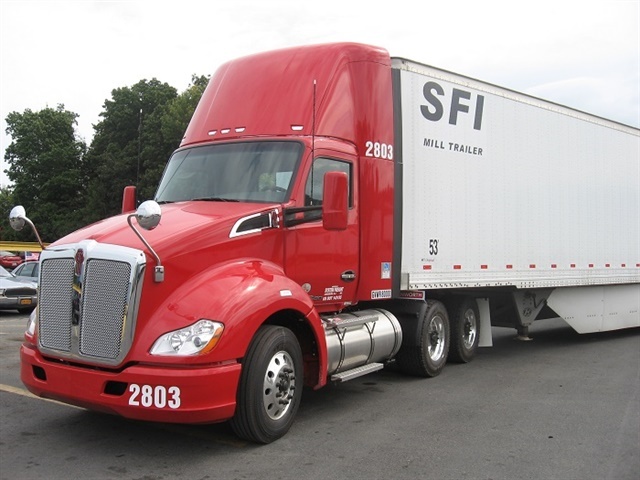 SFI also uses “wedge” trailers to maximize less dense bales of paper and 112-inch rolls of paper. It says it just built the next generation prototype wedge at 300 pounds less than its predecessor. This 1,400-truck for-hire fleet was named a “high performer” this year by the EPA SmartWay program for carbon metrics. Its trucks have been fully fit with aerodynamic devices for the past seven years and the company continues to invest in the latest aero offerings. It’s also 100% automated manual transmissions. Drivers are a key to its success, with a major part of their pay based on driving performance and idle time. Real time feedback is provided in the cab on mpg and how they are driving. Over the past two years it upgraded shop lighting to energy efficient bulbs and installed auto shut off lighting in the corporate office. Over the past year, it implemented a corporate initiative to recycle trash, plastic, metal, oil, tires, aerosol cans, and paper. TransWay says it has trucks getting 9 and even 10 mpg in line-haul applications. The 100-truck for-hire fleet specs its tractors and trailers using EPA Smartway technology and its own unique spec’ing formulas to achieve maximum fuel economy and reduced emissions, with trucks getting 9 to 10 plus mpg in linehaul operations. 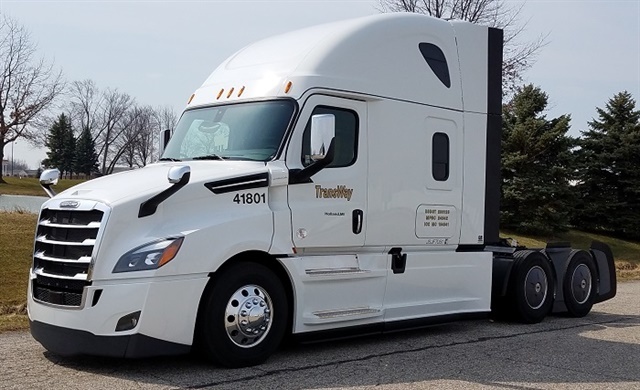 TransWay optimizes drivetrain and powertrain efficiency, tractor and trailer aero, tires and more, and provides driver coaching on ways to help reach the high mpg numbers and reduce emissions output, including near zero idle. It was recognized this year as a SmartWay “High Performer” for cutting carbon emissions. TransWay also has a strong recycling program in the shop and office facilities dealing with fluids, paper, metals and plastic. UPS tries out many different alternative fuels and technologies. Its latest is the electric Fuso eCanter. UPS’ “rolling laboratory” alternative fuel and advanced technology fleet includes more than than 8,300 vehicles worldwide. By 2020, the company plans to choose alternative fuel or advanced technology vehicles for one out of every four vehicles it buys. In 2016, 16% of new vehicles purchased were alternative fuel or advanced technology, including electric, hybrid electric, hydraulic hybrid, compressed natural gas, liquefied natural gas, propane, and lightweight composite body vehicles. 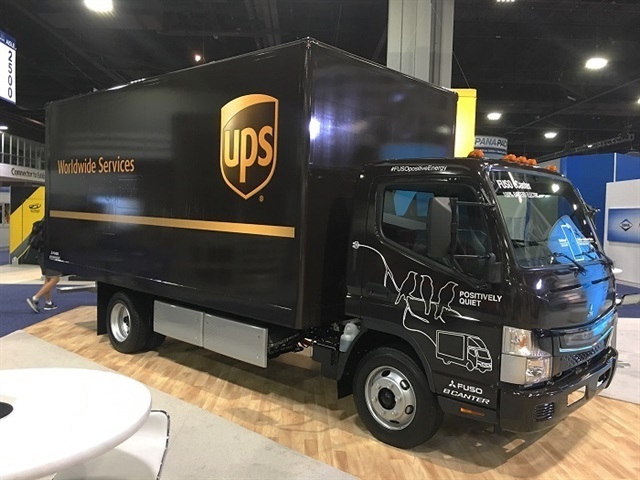 In the U.S., this year UPS announced it plans to build an additional six CNG fueling stations and add 30 new CNG tractors and terminal trucks as well as 50 LNG vehicles. 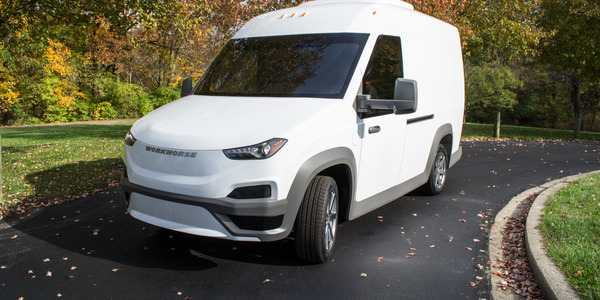 Among the vehicles it’s evaluating are Mitsubishi Fuso’s new eCanter electric medium-duty truck and a prototype hydrogen fuel cell delivery truck in California. 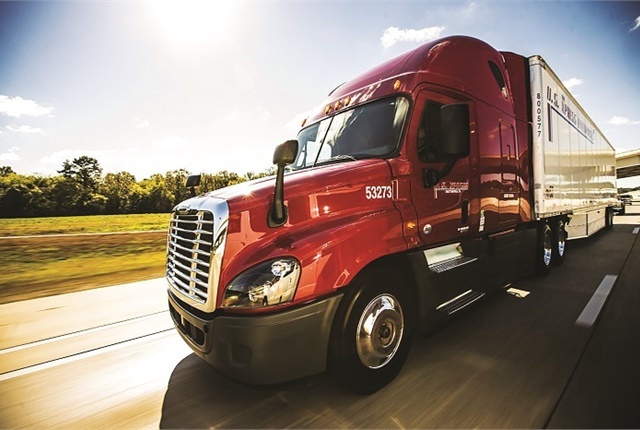 One of seven fleets to participate in the North American Council for Freight Efficiency’s Run on Less fuel-efficiency run in September, U.S. Press is continuously evaluating new technologies. 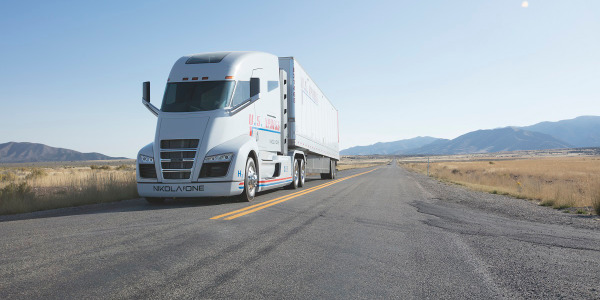 One of seven fleets to participate in the North American Council for Freight Efficiency’s Run on Less fuel-efficiency runs in September, the 7,000-truck fleet is continuously evaluating new technologies, including the Nikola hydrogen-electric truck. 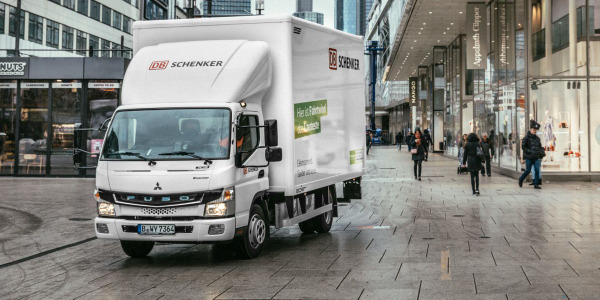 Trucks have fuel-efficient tires, wheel covers and wheel-gap covers on the tandems, cab extender fairings, and a battery-powered auxiliary HVAC system using solar charging; trailers have side skirts and trailer-rear aero add-ons, aerodynamic mud flaps, and automatic tire inflation systems. There’s an engine controller based fuel incentive program and a road speed limit policy. Waste Management recently deployed its 6,000th natural-gas-powered waste collection vehicle. The fleet of 26,000 light, medium- and heavy-duty vehicles continues to push the use of natural gas fuel in the refuse business. During the past year, WM deployed its 6,000th natural gas solid waste collection vehicle and 100th natural gas fueling station. Moreover, WM has committed to the production of renewable natural gas (RNG) from its landfills across the country. WM was an early partner in the development of the Cummins Westport Near-Zero (NZ) Emission Natural Gas Engine. It has built public-access natural gas fueling stations at 25 of its 100 fueling stations nationwide to help smaller fleets transition to natural gas vehicles.